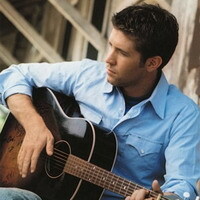 Josh Turner will join Hank Williams, Patsy Cline, Alan Jackson, and Martina McBride. They are all members of the Grand Ole Opry, the longest continuously running radio show in the U.S. Turner was invited to join Saturday, and had no trouble accepting. During "Opry Live," Turner presented Roy Clark with a plaque commemorating his 20 years as an Opry member. Clark then pulled an envelope attached to the back of the plaque and said, "Well, actually this is for you, Josh. It reads: How would you like to formally become a member of the Grand Ole Opry?" Said Turner: "I made my Opry debut back in 2001. I never knew this could happen so early." He will be formally inducted Oct. 27 by Vince Gill. When Turner made his first showing at the Opry, he had not yet had a song released on country radio. Even so, he earned a standing ovation for "Long Black Train," which became his breakthrough hit, and a second standing ovation after an encore. Turner's debut album sold more than a million copies. His follow-up, "Your Man," also went double platinum with the hit singles "Your Man" and "Would You Go With Me?" Turner has been nominated for male vocalist of the year by the Country Music Association, whose awards show will air Nov. 7. Opry management says artists are invited to join judging by the frequency of their appearances and their overall contributions to country music.